Medal to a Veteran-Internationalist, est 1998. 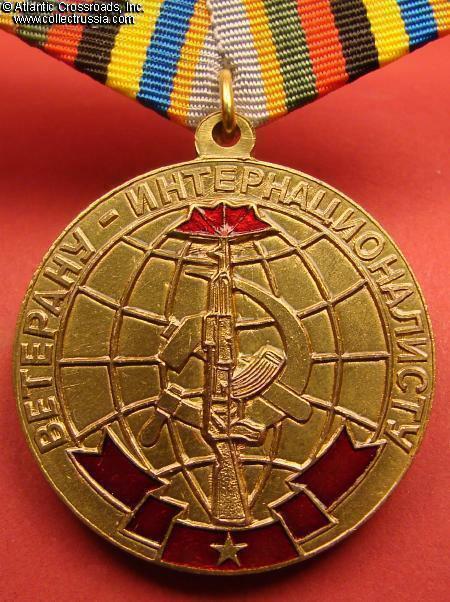 Medal to a Veteran-Internationalist, est 1998. Reverse shows writing along the edge, "To a participant of National Liberation Movement" and, in the center, the list of faraway places where Soviets troops got involved over the years: Spain, North Korea, Cuba, Middle East, Vietnam, Afghanistan. This is one of the alternative medals issued by the Communist-run Congress of Peoples Deputies of the USSR - legislative body of the Soviet Union that continues to operate even now, years after Soviet Union's collapse! 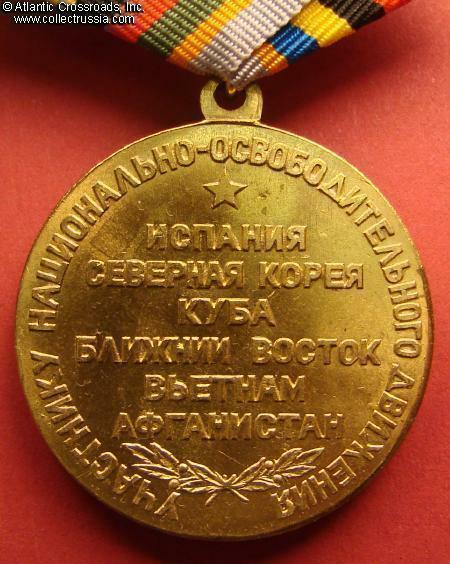 Naturally, these medals are not approved by the President of Russia and therefore have not become a part of the official award system of modern Russia. 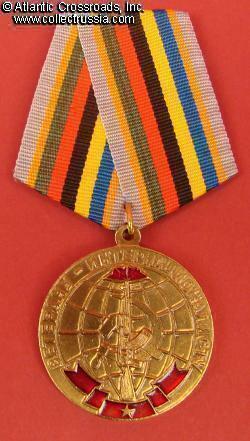 Awarded to surviving participants of all Soviet interventions.